Federation University Australia > About us > Our university > Our history > Geoffrey Blainey Research Centre > Honour Roll > McCARTHY, Peter L.
Peter McCarthy qualified from the University of NSW with Bachelor of Science (Mining Engineering) while working in the Broken Hill mines. After lecturing part-time in 1979 he joined the staff at Ballarat College of advanced Education (BCAE) in early 1980 as the only mining engineer. 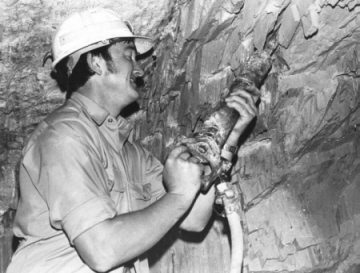 While at BCAE he acted as Registered Mine Manager and then a Director of the Sovereign Hill Museums Association, completed a Master of Geoscience (Mineral Economics) at Macquarie University, and was instrumental in establishing Ballarat Goldfields Limited, which was floated as a public company in 1985. 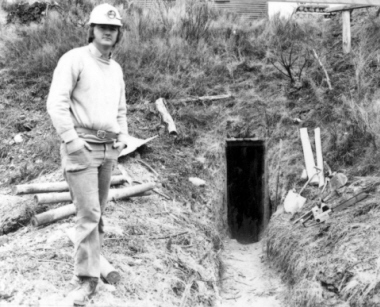 Along with Derek Woolley, Peter McCarthy developed a course outline for the Graduate Diploma in Mining in 1984, with accreditation taking place in August 1985. By then Peter was Senior Lecturer in the Department of Civil and Mining Engineering and had recruited a team of enthusiastic minerals industry lecturers. Student numbers had grown rapidly, partly due to a boom in the minerals industry and partly due to the influence of that group. Peter McCarthy left BCAE at the end of 1985 to take up a consultancy position. He is currently Managing Director of AMC Consultants, a prominent mining consultancy group employing 150 staff and providing services exclusively to the minerals industry. After serving as a Director of the Victorian Chamber of Mines and the Australian Gold Council, Peter McCarthy joined the Board of Bendigo Mining in September 2004, and was appointed Non-Executive Chairman in January 2006. He is President of the Australasian Institute of Mining and Metallurgy for 2007 and 2008 and is also a Director of Castlemaine Goldfields Limited. Peter McCarthy is interested in the history of mining, and has delivered numerous conference papers on topics such as "What was it like to be an Underground Operator in Ballarat in the 19th Century" and "The Ballarat Gold Fields and the City of Ballarat". He is Chairman of the Heritage Committee of the AusIMM and a Life Member of the Sovereign Hill Museums Association. This biography prepared by Clare Gervasoni (with thanks to Peter McCarthy), April 2008.